Swissport International Ltd. signed a long-term lease agreement with airport operator Fraport AG for a new air cargo warehouse at Frankfurt Airport’s CargoCity South. At around 16.000 square metres of surface the new cargo facility will be the third largest in Swissport’s global network of 133 air cargo warehouses. Construction is due to start in 2019, with the facility handed over to Swissport in 2020. 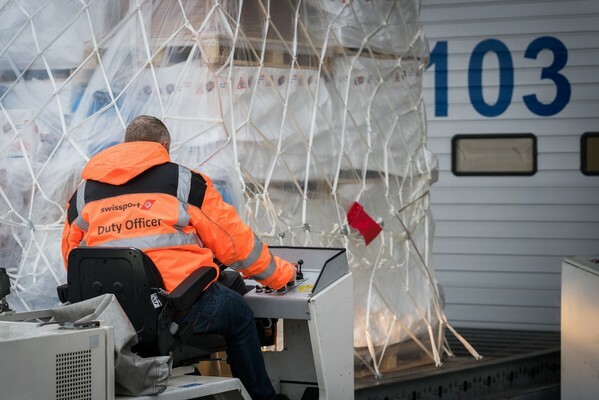 Opfikon, Switzerland, 2018-Apr-24 — /Travel PR News/ — Fraport is developing a state-of-the-art cargo warehouse in CargoCity South, with a planned completion and handover to Swissport Cargo Services Deutschland GmbH in the third quarter of 2020. The Swiss world market leader in Ground Handling and Air Cargo Handling Services, operating 133 warehouses around the globe, has signed a long-term lease agreement for a new facility at Frankfurt Airport. The new custom-built air cargo warehouse has a surface of around 16.000 square metres, with an additional 2.260 square meters to be used as office and social space. ”Swissport is committing a double digit million Euro amount towards the new facility at Frankfurt Airport. Infrastructure plays a key role in optimizing our service delivery and reaching the ambitious efficiency and reliability goals for our clients around the world”, says Willy Ruf, Senior Vice President Swissport Germany, Austria & Switzerland. “Thanks to the excellent location in CargoCity South and a flexible design, this new warehouse will allow Swissport to meet and continually optimize air freight handling requirements. Therefore, the innovative facility will provide Swissport with long-term growth opportunities at Frankfurt Airport,” explained Christian Balletshofer, Senior VP of Real Estate at Fraport AG. Swissport’s new warehouse will be tailored to the requirements of modern air cargo handling. The prime location at Fraport’s CargoCity South and the advanced design of the warehouse, which is in line with latest industry standards, will enable Swissport to map its future growth at Frankfurt Airport and to implement optimised cargo handling processes. Construction of the property is scheduled to begin in 2019. The completion and handover to Swissport is planned for the beginning of the third quarter of 2020. CargoCity South at Frankfurt Airport is an internationally recognised freight location and is regarded worldwide as an example of the development of a successful logistics hub. The logistics industry has established itself on a total of 98 hectares. More than 200 companies and authorities are based here and provide a workplace for more than 9,000 people. The CargoCity South location boasts over 300 flight connections worldwide from the Frankfurt hub. It is also connected via Europe’s most important motorway junction, the Frankfurter Kreuz, as well as the excellent rail network. Swissport International Ltd., on behalf of more than 850 client-companies, provides best-in-class airport ground services for some 265 million passengers annually and handles approximately 4.7 million tonnes of air cargo at 133 warehouses world-wide. Several of its warehouses have been certified for Pharmaceutical Logistics by IATA’s CEIV. With a workforce of 68,000, the world’s leading provider of ground and air cargo services, is active at 315 airports in 50 countries across all five continents. In 2017 the group generated consolidated operating revenue of EUR 2.8 billion. This entry was posted in Airlines, Airports, Travel, Travel Management, Travel Services and tagged air cargo, CargoCity South, Christian Balletshofer, Frankfurt Airport, Fraport, Swissport, warehouse, Willy Ruf. Bookmark the permalink.